Carlo Petrini, father of the International Slow Food movement, addressed the Good Food Award nominees after being introduced by Alice Waters and Patrick Martins. Carlo Petrini reminds the nominees that their work is more important than simply producing food; they are improving their communities and thus the entire world. 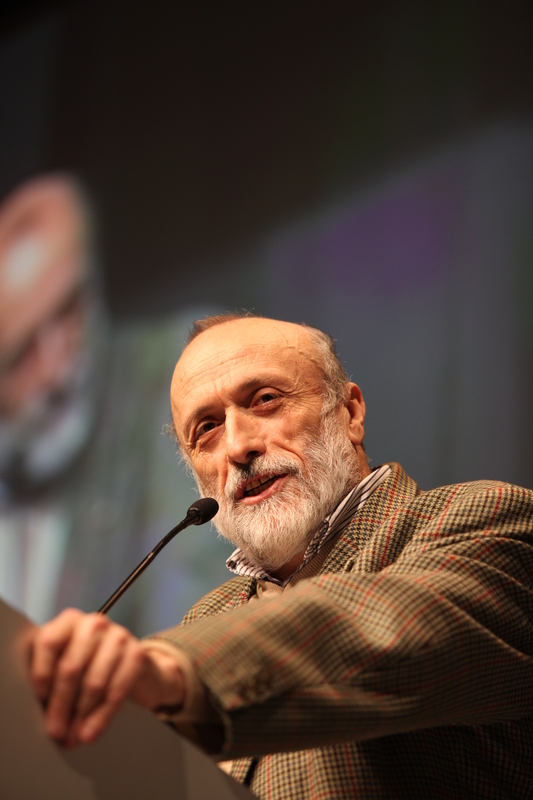 Carlo Petrini is translated by Sarah Weiner, Director of the Good Food Awards.